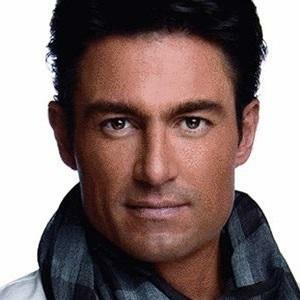 Mexican telenovela star known for his roles in shows like Amor Real, Esmeralda, and Soy tu dueña. He studied civil engineering at the University of Mexico and made his TV debut in 1986. He played the leading man in María la del Barrio in 1996. He dated the singer Thalia from 1994 to 1996 and later Aracely Arambula from 2000-2001. Silvia Pinal appeared with him on the telenovela Soy tu dueña.